DESPITE a small dip this year, the share of Singaporeans and Permanent Residents working or looking for work has nevertheless seen an uptrend - rising in the past five years. The labour force is also sporting more silver hair, according to an advance release of the latest Labour Force report on Wednesday. Thanks to more local women entering the workforce, the resident labour force participation rate (LFPR), a measure of the proportion of Singaporeans and PRs who are employed or seeking employment, jumped from 66.1 per cent in 2011 to 68.3 per cent in 2015, according to the Ministry of Manpower report. The resident LFPR slipped back to 68.0 per cent in June this year, but it came after a sharp increase in 2015 which was brought about partly by "one-off policies", says the report which is based on data from the Comprehensive Labour Force Survey done in mid-2016. "Discounting the dip, the LFPR has been on an uptrend in the last five years," it says. And this was due to the jump in female LFPR from 57.0 per cent in 2011 to 60.4 per cent in 2016. The male LFPR remained stable at around 76.0 per cent. "The stable LFPR for (overall) males reflected the downtrend in LFPR for prime working-age males aged 25 to 54 and the increase among older men aged 55 and over," the report says. LFPR for resident females continued to rise across the prime-working and older age groups. On the whole, the increase in LFPR for older residents has eased. LFPR among the young fell, after trending up in recent years. This was due to fewer students taking up jobs. But the withdrawal of students from the workforce has little to do with the more than doubling of the share of older workers in the resident labour force in the past decade. Workers aged 60 and over jumped from 5.5 per cent in 2006 to 13.0 per cent in 2016 in the share of resident labour force. This was because of the move by earlier post-war baby boomers going into their 60s and a continued increase in LFPR for older residents, according to the report. The median age of residents in the labour force rose from 40 to 43 years over the same period. There were about 2.26 million residents in the labour force in June 2016, with 1.22 million men and 1.03 million women, the report says. The report also shows the unemployment rate to be stable, staying at around 2.6 to 2.9 per cent (seasonally adjusted) from 2012 to 2015 as the fall in female jobless rate offset the uptick for males. But softer economic conditions and fewer job openings pushed the unemployment rate up for both men and women this year. The overall jobless rate rose from 2.8 per cent in June 2015 to 3.0 per cent in June 2016. The employment rate for residents aged 25 to 64 was 80.3 per cent in 2016, similar to last year which was 80.5 per cent. With higher unemployment this year, wage pressures also eased. 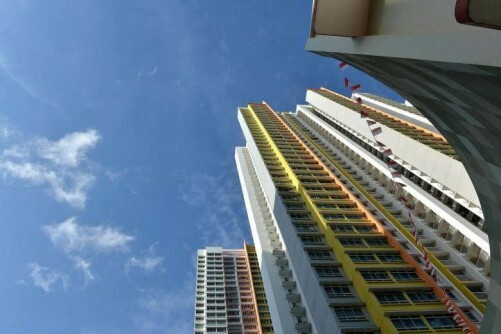 The report says the nominal monthly income, including CPF contributions, of full-time employed residents increased 2.7 per cent to S$4,056 in June 2016. The increase was 3.2 per cent in real terms. Nominal median monthly income jumped 4.7 per cent in June last year. This rose 5.3 per cent in real terms. "From 2011 to 2016, there was sustained real income growth of 3.1 per cent per annum at the median and 2.6 per cent per annum at the 20th percentile," the report says.